Good morning, everyone! How’s your Thursday going so far? I’m having a hard time believing that’s its February already. I shouldn’t. I mean, we just watched the Superbowl on Sunday, and this coming Sunday is the long-anticipated (at least in my house) return of The Walking Dead. Next Thursday is Valentine’s Day, and in a couple of weeks I’ll be on the Oregon coast for writing workshops with a lot of friends I haven’t seen in far too long. Yesterday morning, I got in my car at seven twenty-five, same as always. I popped in a CD – The Best of the Doobie Brothers this time – and cranked up the volume to keep me awake, same as always. I stopped by Starbucks for a grande decaf latte, same as always. Took the freeway to where I-80 merges with Interstate 395, that grand old mess of looped interchanges and exits Reno locals call the Spaghetti Bowl. Same as always. Instead of veering right and taking the next off ramp, a left at the light three blocks down, and a right two blocks over into the parking garage, I stayed in the left lane and kept on driving east on the interstate. And just like that, I quit my job. Crazy, huh? Maybe I always was crazy and nobody ever noticed. I had plenty of time after that to think about what I was doing. Once you get past Sparks going east on I-80, there’s a whole lot of nothing but empty road since all the early morning traffic’s going the other way. All those cars carrying commuters to their jobs, and none of them was me. My heart hammered in my chest there for a while, let me tell you. I almost turned around at the next two off ramps I passed. But what was I leaving behind, really? An almost-empty apartment. A barren love life. A dead-end job for someone who’d only notice me by my absence. I giggled a little about that. I could just imagine my boss’s face when I didn’t show at eight. At five after, he’d be checking his watch. By ten after, he’d be growing frantic. At eight-fifteen, my cell phone rang. I threw the phone out my car window – I didn’t have an iPhone, just some cheap thing I got at Walmart – which only made me giggle harder. Bye-bye old life, hello you wide new wonderful world full of possibilities, you. Are we all ready for the season premiere of The Big Bang Theory tonight? I know I am! I want to know all about Howard’s adventures in space, how Raj and Bernadette are coping in Howard’s absence, the further quasi-romantic misadventures of Shamy, and how my favorite couple, Leonard and Penny, are doing. Yesterday morning, I got in my car at seven twenty-five, same as always. I popped in a CD — The Best of the Doobie Brothers this time — and cranked up the volume to keep me awake, same as always. I stopped by Starbucks for a grande decaf latte, same as always. Took the freeway to where I-80 merges with Interstate 395, that grand old mess of looped interchanges and exits Reno locals call the Spaghetti Bowl. Same as always. I threw the phone out my car window — I didn’t have an iPhone, just some cheap thing I got at Walmart — which only made me giggle harder. Bye-bye old life, hello you wide new wonderful world full of possibilities, you. Good morning, everyone! Happy Thursday! This week’s Free Fiction Thursday story is a brand new addition to the stories set in Moretown Bay, the Pacific Northwest town my detectives Diz and Dee call home. 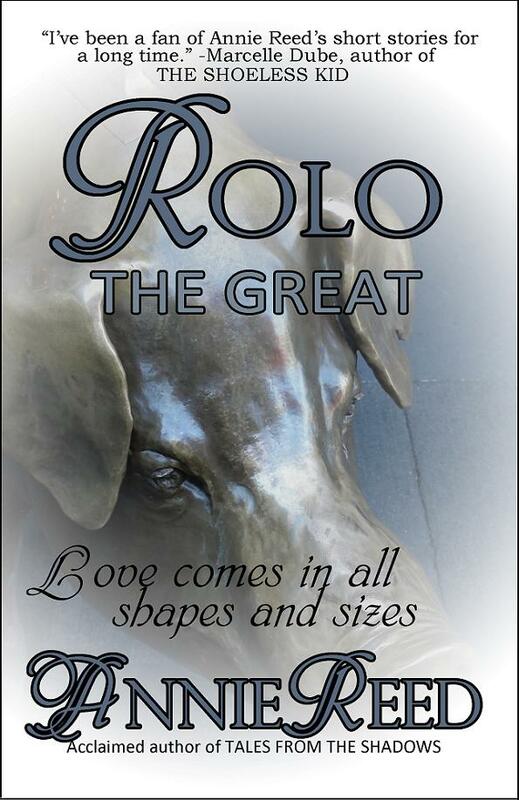 “Rolo the Great” is not a Diz and Dee mystery, though. It’s a romantic fantasy about a courtly street peddler who finally finds his one true love. Only one problem: she’s trapped in the belly of a brass pig. In reality, Rolo’s home turf was a six-foot wide strip of concrete sidewalk on the southwest corner of Fourth Street and Madison Boulevard, just a mere two blocks from the tourist trap that was the fishermen’s and farmers market in Moretown Bay. Rain or shine, Rolo could be found on the corner hawking his wares, which this month happened to be spiral wires enchanted to sparkle in all the colors of the rainbow, with little trinkets of gold or silver jewelry or a small feather hanging off the ends. Given his courtly manner, not to mention more than his fair share of charm and wit and a smidgen of rugged good looks, Rolo was able to eke out a living by charming the ladies, tourists and local alike. The spirals he sold were hair charms, which he was more than happy to show each lady how to wear, provided they bent down low enough for Rolo to reach their heads. You might think by now that I’m the headwaiter in the local looney bin, which in a way might be true. I’m the assistant manager at Sessions, a sort of combination coffee shop/pastry shop/open mike night lounge (yes, such things really do exist), which means my customers range from the merely under-caffeinated office worker to the extremely over-caffeinated and severely depressed wannabe grunge rocker. Sessions is located—you guessed it—on the corner of Fourth and Madison. Since I’ve been at Sessions long enough to work my way up the non-corporate ladder from mere coffee brewer to coffee brewer with an official title, I’ve gotten to know all the regulars, including Rolo the Great. I can’t believe it’s almost Easter. This year I’ll be spending Easter on the road while hubby stays home to take care of our high-maintenance cats. I’ll miss hubby and the kitties while I’m gone, and I’ll also miss the cottontail bunny I see in my front yard almost every morning when I go out to start my car. This week’s free story also has to do with bunnies and Easter, in a manner of speaking. 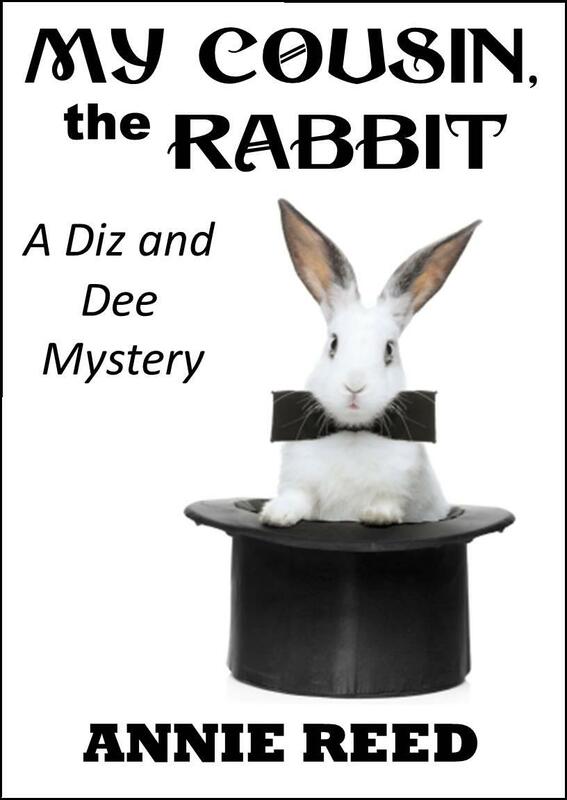 “My Cousin, the Rabbit” is a Diz & Dee fantasy mystery in which our intrepid heroes search for Dee’s missing cousin. Enjoy! Good morning, everyone! How’s Thursday treating you so far? Before we get to this week’s story, I’d like to take a minute to congratulate Kristine Kathryn Rusch and Dean Wesley Smith on receiving the Lifetime Achievement Award from the prestigious Willamette Writers organization. I can’t think of two people who deserve an award like this more than Kris and Dean. Like the countless numbers of writers they’ve taught and assisted throughout the years, I owe my writing career to them. Don’t get me wrong — I was a writer before I met them. But thanks to all the invaluable things they’ve taught me and continue to teach me, not to mention their friendship, I’m not only a better writer, I’m a professional writer. Thank you, guys! And a great big ol’ WooHoo!!! from this neck of the woods! So you might be asking yourself, what exactly do I get from Kris and Dean and their wonderful workshops (which I can’t recommend highly enough)? Well, this week’s story, for one thing. 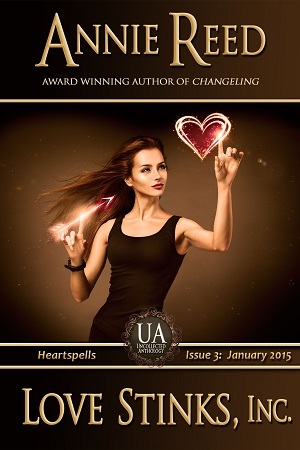 I wrote “A Most Romantic Dragon” in response to an assignment at this year’s anthology workshop. 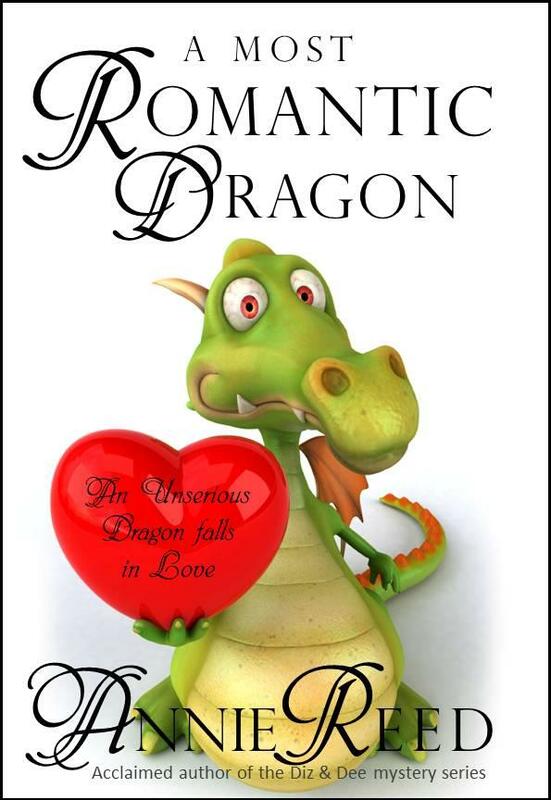 I hope you enjoy the further adventures of Mordived, the unserious dragon, as he finds unexpected love. When love came to Mordived the dragon, it came as all things did—in a most unconventional way. He hadn’t expected to fall in love, you see. Quite content to live in the land ruled by his elder brother Gilgamule, Mordived spent his days soaring over his brother’s land while he perfected his patented “my wing’s broken” tuck-and-roll, first with his right wing and then his left, all the while keeping an eye out for errant knights determined to slay his more conventional brother. When Mordived got hungry, as he often did while practicing the aerial portion of his slapstick routine, he chased wild pigs through the woods or goats up the craggy side of a mountain. Mordived left the peasants’ sheep and cattle alone. Not only did he think it rude to roast meat that didn’t belong to him, the wooly coats of the sheep scratched his throat going down and cattle gave him indigestion. On one such afternoon flight, Mordived caught sight of something quite unexpected—a dragon who wasn’t his brother. Mordived was so surprised he nearly failed to untuck his tucked right wing, which would have led to a nasty encounter with a rather tall and pointy pine tree. While Mordived didn’t mind taking the occasional pratfall—it was, after all, his desire to make virgins laugh rather than eat them that made Mordived the black sheep, so to speak, of his family—a pratfall took timing and preparation, and Mordived was decidedly unprepared. He was equally unprepared to discover that the unexpected dragon was a girl. His younger sisters had been of no use at all in teaching Mordived how to act around girls. They simply called him “Strange Child” and tried to breathe fire at him. Mostly they just set fire to the tree roots that dangled from the ceiling of their cave, for which Mordived took the blame. Such was the lot in life for an unconventional dragon with five bratty little sisters. But this new dragon wasn’t like any of his sisters. She was long of tail and delicate of wing, with a fine ridge of emerald green spines along her back and the largest golden eyes Mordived had ever seen. One look, and he was smitten. 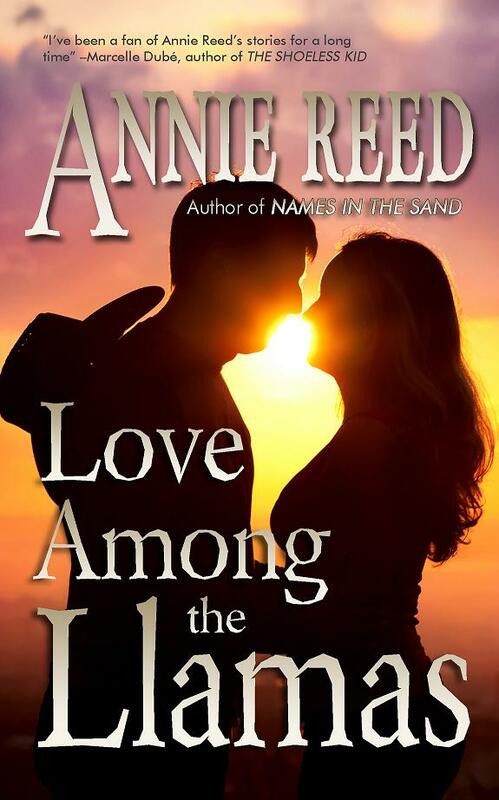 How about a little romance this week? 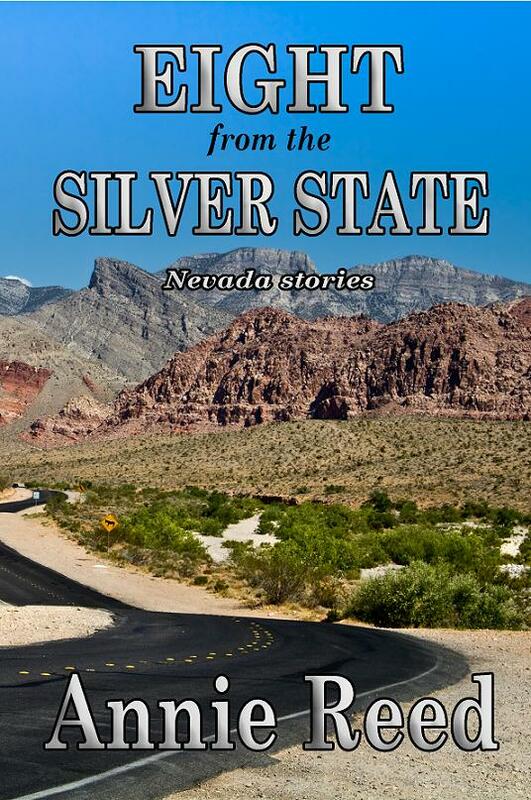 Today’s story is “Love Among the Llamas,” part of my Nevada collection EIGHT FROM THE SILVER STATE. Enjoy!